Home > Buxone > This CEO likes to hire people who don't take all the credit for their success - Let us ask him why? This CEO likes to hire people who don't take all the credit for their success - Let us ask him why? Everybody wants to hire stars. 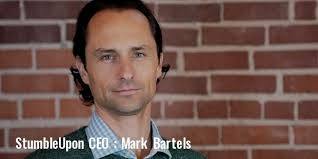 But StumbleUpon CEO Mark Bartels isn’t looking for people who shine alone — instead, he prioritizes candidates who are true collaborators. Which isn’t to dismiss the value of people who thrive alone. “You always want different types of people that you’re working with, and individual contributors are great,” Bartels tells “They’re very productive, and they can have very high output.” There’s just one limitation: ultimately, they’re only one person. That’s why he looks for what he calls “enablers” — people who are not only high achievers but also make everyone around them better. “You hire one person,” he explains, “but then that one person goes on and trains and shares ideas with three other people.” The result is “a way more productive team” — and fewer single points of failure. But it’s one thing to appreciate enablers in action, and another to spot them during the hiring process before you’ve had the chance to see them in action.